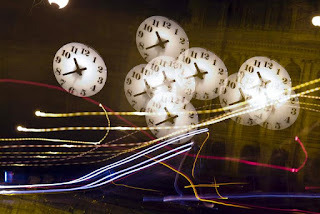 It's that time again: Today, Monday, February 29, is a leap day, the calendar oddity that occurs (almost) every four years. That's why most of the modern world has adopted the Gregorian calendar and its leap year system to allow days and months to stay in step with the seasons. Click here to read and learn more. 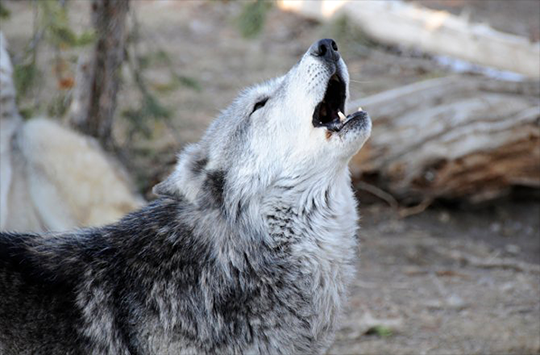 Wolf species have distinctive howling repertoires that function like dialects, finds the biggest study ever done on canid howling. A research team from the United States, United Kingdom, Spain and India ran more than 2,000 different recorded howls from 13 canid species and subspecies (the canid family includes wolves, jackals, and domestic dogs) through a software algorithm that boiled them down to 21 howl types (depending on pitch and other characteristics). They found that different wolf species use the howl types in ways that are specific to them. Timber wolves, for example, use a preponderance of low, flat howls, as opposed to higher vocals used by red wolves. The scientists said their findings could aid in conservation efforts. For example, while most of the vocal dialects they studied were distinct enough between species to prevent confusion, a few were so similar that they could help fuel interbreeding between different species. Red wolves and coyotes were such a case. In the study, their howling dialects overlapped significantly. The researchers also said playback recordings might be used to mimic territorial sounds, perhaps convincing wolf packs to steer clear of livestock. Kershenbaum and his colleagues think the howling study could also teach us more about the evolution of human language. “Wolves may not be close to us taxonomically, but ecologically their behavior in a social structure is remarkably close to that of humans. That’s why we domesticated dogs: They are very similar to us,” said Kershenbaum. “Understanding the communication of existing social species is essential to uncovering the evolutionary trajectories that led to more complex communication in the past, eventually leading to our own linguistic ability,” he added. Currently, Kershenbaum and colleagues are using new recording methods to try to figure out what the howling types actually mean, what they communicate between animals -- a challenging task, he said, given that it's "virtually impossible" to follow wolf packs in the wild. The team’s work has been published in the journal Behavioural Processes. Andrei Fritz was itching to let loose a torrent of drumming that could be heard in the classroom upstairs and by passersby in the hallway outside. "Uhh, there's no power," said Fritz, 21, crouched down and looking at a thick black cable. "On any of them?" asked Jeffrey Hiatt, a head engineer and staff producer at Turtle Studios in Philadelphia. Something wasn't working right, but Hiatt was unfazed. What better dose of reality for a group of Rowan University students learning about the music industry? Hiatt turned to his students: "So, what do you do when something gets goofy like that?" And with that, an audio recording class that was supposed to show students different types of microphones and setups became a hands-on class on responding to technical failures in the recording studio. "Check user error first," Hiatt said, before telling the seven students in the studio that it's best to keep a recording session or performance going without interruption, if possible. "Put a piece of tape on that, and we'll test it later," Hiatt said. "Sometimes unplugging something and plugging it back in will work; sometimes there are mysterious gremlins. So I don't like to just throw a cable in the trash." For the 31 students in Rowan's new bachelor of science in music industry degree program, this type of real-world experience is a huge draw. Launched this school year after two years of development, the music industry program seeks to train students for various technical and business jobs in the industry. All students take core courses, which include principles of marketing, a survey of record production, and two on business of music. Halfway through the major, students choose either music technology or music business as a specialty. Training on the technology side includes courses such as game audio, mixing and mastering, and recording studio design and maintenance. Music business students take such courses as touring and concert promotion, public relations in the music industry, and entrepreneurship in the music industry. "It's not a performance program," said Mathieu Gendreau, who joined Rowan in 2013. Gendreau created the program, as part of the music department, for the universe of people surrounding performers and artists. "It's all behind the scenes, so managers, sound engineers, producers, some people work in advertising, marketing, touring, all that stuff." The program incorporates a lot of training in entrepreneurship and marketing, Gendreau said, because the rapidly changing industry is turning to freelancers and start-ups more than ever. "The idea is that most likely you'll be a freelancer, and you'll start a business, so we're pushing the entrepreneurship," said Gendreau, who taught at Drexel University before going to Rowan and has taught at London's University of Westminster and American Intercontinental University. 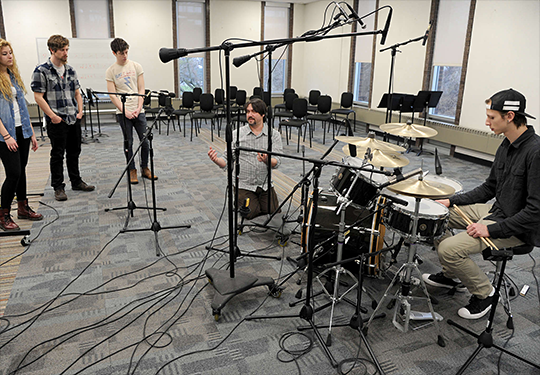 As the program grows, Gendreau hopes to hire more faculty, renovate existing spaces to build bigger studios and a second lab, and create a small record label for students to gain hands-on experience. Because the industry requires a very clear set of technical skills, the program brings in adjuncts who are currently working in the industry, many in Philadelphia studios. In a lab last week, Gendreau taught students equalization by deconstructing a pop song he had recently mixed for a French artist. Talking about the single also gave Gendreau the chance to teach soft skills, he said, by recounting how he had sought to change the song's bass line. Gendreau knew that making that change would go outside the boundaries of the mixing job he was hired for, so he had to find a way to show how a new bass line would work without angering the client. "So how am I going to tell them that what they recorded sucked?" Gendreau said. His solution was to do the mix as requested, then make a new mix, with a new bass line, and hand both over. "I just put the ball in their court, you know?" Gendreau ended up getting his way, and he said he hoped his students would learn that type of nontechnical skill: How to work with others, deal with clients, negotiate when necessary. Students need to be well-rounded, agreed Jim Gallagher, a producer and engineer of more than 30 years who developed a similar program at the Art Institute of Philadelphia and has also taught at Temple University and the University of the Arts. "The industry has evolved in all the years I've been involved in it, and it's harder and harder to break into. And therefore, to train someone to be able to walk out with a college degree and start banging on doors and try to get into someplace to get gainful employment in music, you better have a very full skill set," he said. As a Rowan adjunct, Gallagher this semester is teaching a history of popular music course required for all music industry students. After all, Gallagher and Gendreau said, that's what separates a university-based music industry program from a trade school that solely teaches students how to handle the software and equipment. So on Thursday, Gallagher talked about the early days of rock-and-roll, performance, and the format restrictions that kept songs to shorter lengths. The last video of the day was a performance by Little Richard - "another wild man," Gallagher told the class - before ending the class with a look ahead to next week: surf music. "You have to know where you've come from to have some sense of what's coming next," Gallagher said later in an interview. Downstairs, Fritz played away on the drums, rumbling the floor; upstairs, students watched Little Richard play the piano with his hands behind his back. "I'm sitting here and I'm actually wanting to spend extra hours, spend extra time at school so I can become more proficient in these types of things," Fritz said later. "It's a lot of fun. Honestly, I don't feel like I'm learning; I feel like I'm having fun." As long as he wields his club for good. Hitting a hole-in-one in golf is a feat that doesn't happen every day. According to Golf Digest an amateur's odds of hitting that shot are about 12,500 to 1. 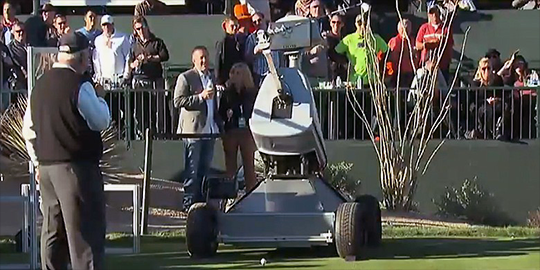 But yesterday at the 2016 Waste Management Phoenix Open in Arizona had an even more unique hole-in-one: it was hit by a robot. The robot named LDRIC (Launch Directional Robot Intelligent Circuitry) after Tiger Woods's birth name, Eldrick is about the size of a golf cart, has a friendly-yet-jaunty facial expression, and a metal arm that wields a club. "We’re in the age of robots." The machine was developed by Gene Parente, who runs a company called Golf Laboratories, and it isn't just for fun. Golfing robots are used to test balls and clubs, thanks to its ability to mimic the successes and flaws of an average golfer--all without getting tired. And Parente says he's built 40 golfing robots for major companies to test their products. 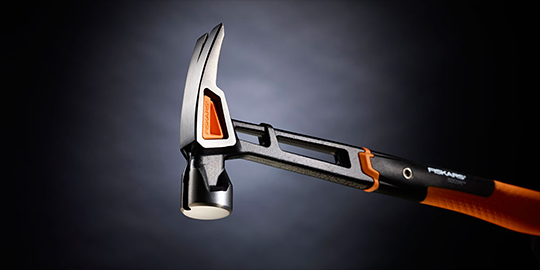 It will likely be a while before a robot like LDRIC joins your weekend tee time, but it might not be so bad to have a robot golfing companion--as long as you can dial them down so they don't hit hole-in-ones at every hole. LDRIC definitely looks like the kind of robot that would gloat about his putting average. To free up space for a television downlink from the lunar module, NASA removed the ranging code and changed the modulation from phase to frequency. This freed up 700 kHz of bandwidth for a television downlink on the USB signal. The problem was that this wasn't enough bandwidth for the standard video camera of the day that transmitted 525 scan lines of data at 30 frames per second at 5 MHz. Instead, NASA would need a slow-scan camera optimized for a smaller format, 320 scan lines of data at 10 frames per second that could be transmitted at just 500 kHz. With the guidelines for the camera set, NASA awarded two contracts. One went to RCA for the command module camera. Another went to Westinghouse Electric's Aerospace Division for the lunar module camera. The surface camera also had a key piece of classified technology inside it. The lunar surface camera would have to capture a clear image in spite of a high contrast between the bright lunar surface and the atmosphereless black sky, and Westinghouse had the answer. The company had developed a special low-light television imaging tube for the Department of Defense to use in a jungle surveillance camera during the Vietnam War, one that could find a downed pilot at at night. The key was a sensitive image tube combining a variable-gain light intensifier with a secondary electron conduction target. That SEC tube could reproduce objects in motion at low light levels without smearing the image. The DOD allowed NASA to use the top secret technology in its lunar surface camera, though it's likely few people who worked on the project for the space agency knew they were handling sensitive technology. It was this camera that captured Armstrong’s first steps on the Moon. The camera was stowed in the LM’s descent stage in the Modularized Equipment Stowage Assembly (MESA) in the fourth storage area on the left of the LM's ladder. 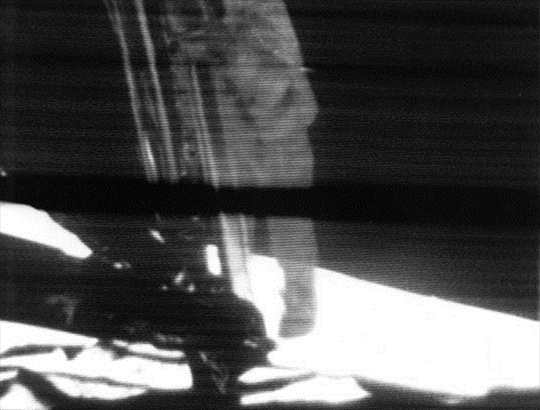 The MESA released when Armstrong, standing on the lunar module’s porch, pulled a lanyard allowing it to unfold. Though covered with a thermal blanket, the lens poked through a hole so it could see everything going on. Inside the LM cabin, Buzz Aldrin hit a circuit breaker that turned the camera on, allowing it to capture Armstrong’s walk down the ladder and first steps on the Moon. There's a new conspiracy theory out there, but instead of invoking big government or aliens, it questions whether there's a laptop carved into an ancient Greek statue. That's right — there's a theory out there saying that a funerary statue of a woman, dated to about 100 B.C., shows her looking at a modern laptop or a handheld digital device. The theory, proposed by the anonymous YouTube user StillSpeakingOut, ventures that the ancient Oracle of Delphi may have foreseen the invention of laptops, and told people about it. "Just so we are clear, I'm not saying that this relief was depicting an ancient laptop computer," StillSpeakingOut said in the 100-second-long video. But "Greek tales about the Oracle of Delphi, which was supposed to allow the priests to quote-unquote connect with the gods and retrieve advanced information of various aspects," made him wonder whether the statue represented a prediction, StillSpeakingOut said. In fact, the object depicted on the statue does look something like a laptop, said Jeffrey Spier, the senior curator of antiquities at the J. Paul Getty Museum in Malibu, California, which owns the statue. But, of course, it's not, Spier said. Instead, the object may be a jewelry box, a shallow chest or possibly a hinged mirror, as "we have hinged mirrors from this time period," Spier said. Perhaps it's a box containing incense, although there's no incense burner in the scene, so that may be a stretch, he added. Another historian debunked StillSpeakingOut's idea that the so-called laptop has USB ports in its side. "The 'USB ports' are drill holes for the attachment of a bronze object, or perhaps a separate piece of marble," said Jeff Hurwit, a professor of art history and classics at the University of Oregon. The statue, officially called "Grave Naiskos of an Enthroned Woman with an Attendant," depicts a well-dressed woman lounging on a cushioned armchair and reaching out "to touch the lid of a shallow chest held by a servant girl," according to the J. Paul Getty Museum. Funerary reliefs, fashioned out of marble like this one, were common in ancient Greece, going in and out of style over the years, Spier told Live Science. Such reliefs start occurring in the archaeological record in the sixth century B.C. and continue until about the first century B.C. These funerary statues would have sat above graves of the deceased, and are called naiskos, which are small temples dedicated to the deceased, Spier said. This one would have likely had a triangular top, and probably had the departed woman's name painted on top, he said. "We have a number [of naiskos] in the museum," Spier said. "They show young girls with their toys or with pets. They are very nostalgic and sympathetic." However, guests won't see the "enthroned woman" naiskos anytime soon at the Getty. The museum lent the statue to the Metropolitan Museum of Art in New York City, where it will go on display April 18 for an exhibit called, "Pergamon and the Hellenistic Kingdoms of the Ancient World." Guests visiting the Met can decide for themselves whether they think the statue shows a laptop, but the experts have already made up their minds. "Seriously?" Hurwit said. 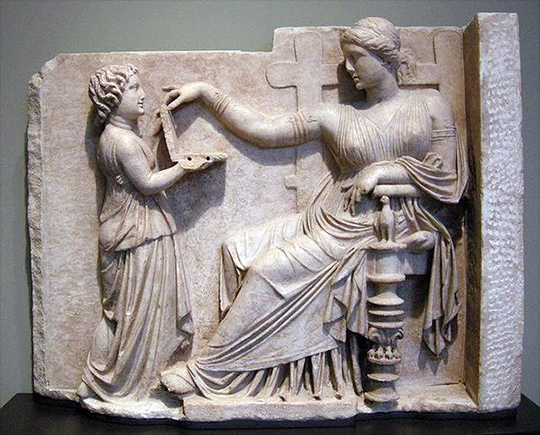 "The 'laptop' is in fact a shallow box or lidded tray from which the woman is about to select a piece of jewelry, as is commonly shown in grave reliefs like this one." However, this isn't the only conspiracy about modern technology showing up in yesteryear. In 2010, a similar flurry arose concerning a woman in a 1928 Charlie Chaplin film holding an object that looked like a cellphone. But that mystery object was likely an ear trumpet, used to help the woman hear, experts said. 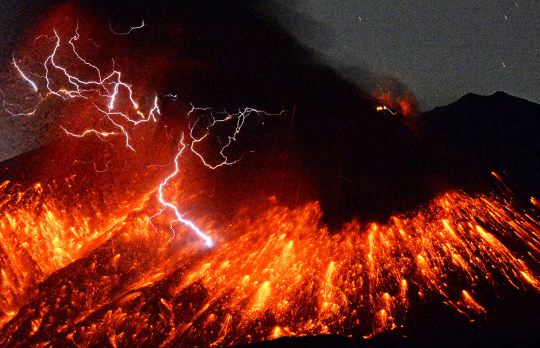 THINGS HAD BEEN QUIET at Japan’s Sakurajima for the past few months, but today the volcano unleashed an impressive explosive eruption. If you watch the video of the eruption, you can see incandescent volcanic bombs and ash being hurled hundreds of meters into the air—and the eruption even generated some of its own lightning. I’ve seen some brief reports of a lava flow from the eruption as well, but this would be a bit of a surprise based on Sakurajima’s usual eruption style. I have yet to see any images or confirmation of a lava flow, so I’d take that news with a grain of salt. Images and video of the eruption show those glowing blocks of debris moving downhill, but those are not lava flows. Although the footage would suggest otherwise, the blast itself wasn’t particularly strong for Sakurajima. When it is in an eruptive period, the volcano can regularly throw volcanic bombs and ash multiple kilometers from the active vent—this eruption was doing just that. What is most notable here is more that Sakurajima had been quiet for so long (in this case, months), when it has produced hundreds of eruptions per year over the last half century. As a precaution, the Japan Meteorological Agency increased the exclusion zone to 2 kilometers from the vent and raised the alert status to 3 (of 5). The JMA thinks that this explosion is a resumption of the eruptive period that had waned in September 2015. You can watch Sakurajima from one of the many webcams pointed at the volcano. The JMA has some webcams pointed at the volcano as well: Just select the 6th and 7th from the bottom of the scrolling list to the right. Scientists have reclassified the majority of the 55 known tarantula species and added 14 new ones. A newly discovered tarantula sports a black coat that is as dark and brooding as its celebrity namesake: the renowned singer Johnny Cash. Tarantulas, the hairy spiders that stole movie scenes and won hearts in popular films like "Home Alone," "Raiders of the Lost Ark," and "Dr. No," take a starring role in a new study that reorganizes their group, reclassifying the majority of 55 known tarantula species and adding 14 new ones, including the creepy-crawly named for Cash. 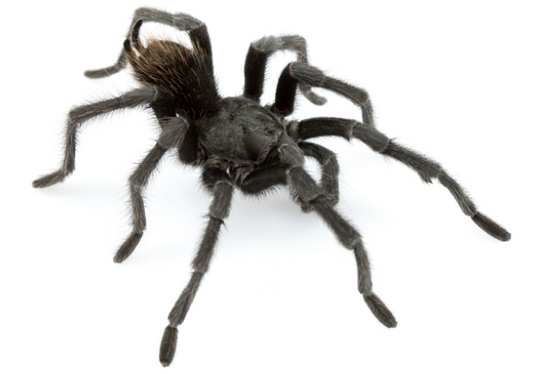 The study researchers evaluated close to 3,000 tarantulas from across the American Southwest. Scientists integrated tarantula DNA into the study alongside anatomy, geography and behavior gleaned from spiders that were gathered by the researchers, contributed by "citizen-scientists" and borrowed from museum collections, to deliver the most comprehensive overview of tarantulas ever assembled, according to the new study, published online Feb. 4 in the journal ZooKeys. Even though tarantulas as a group are generally well known and easily recognized by the public from their appearances in popular culture, far less was known to science about their distribution, diversity and how they lived in the wild, according to the study's lead author, Chris Hamilton. Hamilton, an arachnologist and graduate student at Auburn University's Department of Biological Sciences, told Live Science that "not much behavioral or ecological work has been done to understand these species and the settings they live in," he said. So he set out to do something about that. While tarantulas can vary greatly in size—from a leg span measuring about 6 inches (15 centimeters) long to tiny individuals able to fit comfortably on the face of a U.S. quarter—tarantula species generally don't vary much in their anatomical features. For tarantula taxonomists of the past, this posed a frustrating challenge, resulting in classifications that divided tarantulas into many more species than the group required, Hamilton found. "There was huge murkiness as to what was a species," Hamilton told Live Science. For more than 10 years, Hamilton and his colleagues gathered and analyzed tarantulas from a range of habitats in the southwestern United States. Brent Hendrixson, study co-author and chairman of the Department of Biology at Millsaps College in Mississippi, set up a Web page that allowed citizen-scientists to send the researchers hundreds of specimens from locations across the U.S., including some where tarantulas had never been collected before, Hamilton said. Tarantulas stored in museum collections proved to be useful, too. The Auburn University Museum of Natural History (AUMNH) houses a tarantula collection containing more than 2,300 specimens, which played an important part in the study, according to Jason Bond, the study's senior author and AUMNH director. Spanning more than 50 years of collecting, the AUMNH tarantulas provided critical data on variations between tarantula populations and biogeography, "essential elements to understanding how diversity of life on our planet has evolved and become spatially distributed," Bond told Live Science in an email. When the researchers' work was done, the tarantula group that originally contained 55 species had been pared to 15, with the 14 new species bringing the grand total to 29, they reported in the study. One of the new spider species, Aphonopelma johnnycashi, had a particularly well-known namesake—famed singer and songwriter Johnny Cash. The spider was abundant near Folsom State Prison in California, which had inspired Cash's song "Folsom Prison Blues" and where he performed and recorded a live album in 1968. And the tarantula's dark coloration reminded Hamilton of Cash's preference for head-to-toe black attire, which had earned Cash the nickname, "The Man in Black." "It immediately fit," Hamilton said. But with 14 new spiders, the scientists had to come up with a lot more names, and A. johnnycashi was the only one inspired by a celebrity. 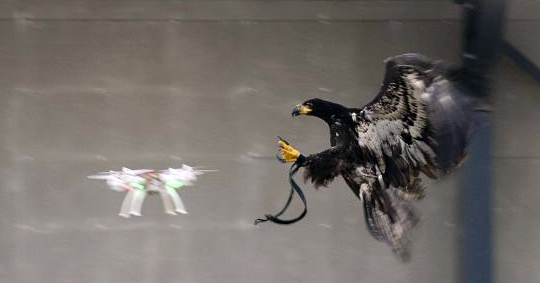 "We tried to tie them into something about the species," Hamilton told Live Science. Some were named in reference to where they were found, like A. saguaro (Saguaro National Park) and A. superstitionense (the Superstition Mountains). Hamilton named A. moellendorfii to commemorate mentor, educator and fellow arachnologist Dave Moellendorf, who introduced Hamilton to tarantula distribution in Texas and supported his early interest in the spider group. And A. xwalxwal(pronounced “hwal-hwal") got its name from the word for "a type of small spider" in the language of Cahuilla Native Americans. "As a Native American myself—a member of the Chickasaw Nation of Oklahoma—I do try to look for ways to tie Native Americans into new species, if possible," Hamilton said. But finding new species isn't just about scoring naming rights, Hamilton said. "We do it because we love what we do. We really love the organisms, and we want to know what's here on Earth and what their relationships are," he said. And if naming a new species after a celebrity brings some of that excitement about biodiversity and evolution to a wider audience, then everybody wins. "It's a really important mechanism for reaching out to the public and getting them involved," Hamilton said. "We want the public to love these new species, too." 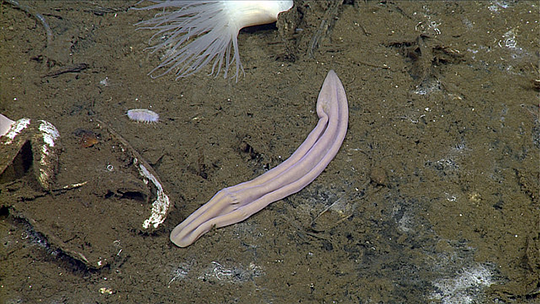 The sea floor is a wonderland, and scientists have discovered some new species of worm-like critters that look like discarded laundry items and churros. An old mystery has puzzled scientists for more than 60 years. It involves a flat, pinkish, worm-looking creature discovered near Sweden under the sea in 1950. Until now, the worm-like genus Xenoturbella had been hard to place in the hierarchy of the animal kingdom, but a study published Wednesday puts them firmly "near the base of the evolutionary tree." Twelve years of collection and study turned up four new species to add to the first found all those years ago. Researchers gathered specimens from off the coasts of Mexico and California and performed anatomic and genetic analyses to identify the new species. What might entertain lay people is that the critters look a lot like discarded laundry items and fried pastries. The study in the journal Nature describes the deep-water species. The researchers say some of them resemble "purple socks." Another of the discoveries is now named Xenoturbella churro, since it looks like a sea-logged version of the popular fried treat, minus the sugar and cinnamon topping. The unusual creatures have been called everything from flatworms to mollusks, but the Scripps Institute of Oceanography now refers to them as deep-sea worms. "The findings have implications for how we understand animal evolution," said Scripps marine biologist and lead author Greg Rouse. The invertebrates tend to hang out near "deep-sea cold seeps, hydrothermal vents, and whale carcasses." They are very simple beasts that have no brains, eyes or gills. The only opening is a mouth. The largest, Xenoturbella monstrosa, is a mere 8 inches in length (about 20 centimeters). Video footage of one of the worms shows that they are slightly more exciting to watch than a pet rock. While bigger sea animals like whales and dolphins may attract more attention, these sock- and snack-like critters are helping scientists learn more about the evolution of organs in the animal world. Rouse expects the four new species to be just the beginning of a series of new discoveries of similar sea worms. Perhaps researchers will find one that looks like a popular Mexican dish and name it Xenoturbella relleno. Scientists have discovered exactly how the human brain gets its crinkly, wrinkly appearance in utero. It turns out that the huge explosion in the number of brain cells in the brain's outer layer, called the cortex, forces that layer to swell and then collapse in on itself to form those characteristic creases. This cortical origami—which has also evolved in a handful of other brainy species, such as dolphins and some primates—may be nature's way of solving the tight packing problem. "This simple evolutionary innovation, with iterations and variations, allows for a large cortex to be packed into a small volume, and is likely the dominant cause behind brain folding, known as gyrification," said study co-author L. Mahadevan, an applied mathematician at Harvard University. The outer surface of the human brain is a mass of curving bulges and fissures, known as gyri and sulci, all made of gray matter. Beneath this gray matter sits the white matter, the bundle of nerve fibers that send and receive signals between the brain and the rest of the body. Scientists have long suspected that this wrinkly brain surface evolved in order to squish many more brain cells, or neurons, into the relatively small space of the brain. But exactly how the brain folds has remained more mysterious. Mahadevan and his colleagues had a hunch that simple mechanical properties of brain tissue helped to create the effect. Gray matter is affixed at its base to the white matter, and both have similar stiffness. But during cortical expansion, the gray matter grows more rapidly, even while still mechanically bound to the white matter. In a 2014 study, the researchers showed that the compression from the squished neurons caused buckling, forcing the tissue to collapse in on itself and form those characteristic folds. He deduced that just two parameters—the brain's growth rate and the size of the brain—could help explain the type of folding pattern that emerged. The team also made a mock-up using two simple brain hemispheres. In the new study, the researchers decided to test their theory in a gel replica that more accurately reflected human brain anatomy. In the womb, the brain of a fetus starts out smooth, but between 14 weeks and 26 weeks of gestation, the fetal brain folds and curves in a predictable sequence from one brain region to the next, a 1997 study in the journal Ultrasound in Obstetrics and Gynecology found. To recreate this process, the team collected magnetic resonance imaging (MRI) images of fetal brains and used those images to make an anatomically accurate gel reconstruction of the developing human brain. The team coated the outside layer of the mock brain with a stretchy elastomer gel to mimic the cortical layer. 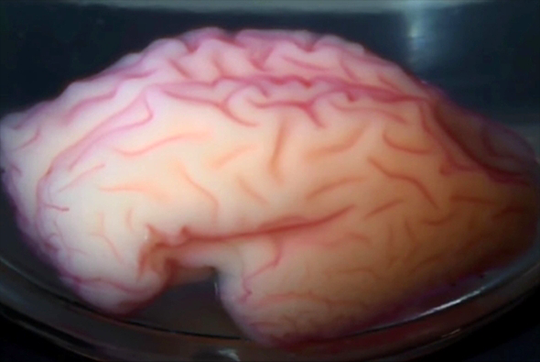 They placed this fetal-brain replica in a vat of solvent. The brain quickly soaked up the solvent, and its outer layer ballooned outward more quickly than its inner layer. This uneven swelling caused compression and buckling, and within minutes, the team had recreated the gyri and sulci of the brain. What's more, the formation pattern was shockingly similar to that found in real brains, the researchers reported today (Feb. 1) in the journal Nature Physics. "When I put the model into the solvent, I knew there should be folding, but I never expected that kind of close pattern compared to [the] human brain," said study co-author Jun Young Chung, a researcher in the Harvard University School of Engineering and Applied Sciences. "It looks like a real brain." Interestingly, the team also showed that the size, shape and orientation of the largest folds were highly reliable, with the replica brain creasing in the same way no matter how many times it was put into the solvent. The smaller wrinkles appear to be unique, folding differently in each experiment. That mimics the pattern in human brains, in which the largest folding patterns are consistent across healthy people, but each individual has a unique pattern of little wrinkles. Since viewers first heard the famous tagline, "… to boldly go where no man has gone before," "Star Trek" has represented the hope of what space — “the final frontier” — can mean for humanity in a few centuries. Over several television series and films, the franchise mostly follows the adventures of crews on the USS Enterprise. Humanity is just one of a vast number of alien species participating in a quasi-military organization called Starfleet, whose main goal is to explore the universe for scientific reasons. Starfleet has strict rules about interacting with more primitive species and protecting uncolonized planets, but from time to time the crews in the show run afoul of these rules — sometimes with tragic results. "Star Trek" was created in the 1960s by Gene Roddenberry, a WWII veteran who began his screenwriting career writing freelance scripts while with the Los Angeles Police Department. Famously, NBC executives did not like the first pilot. They reportedly said the show had too little action and was “too cerebral” for viewers; however, they offered the chance for a second pilot. Except for an alien called Spock (Leonard Nimoy), the cast was switched out for a different crew led by Captain James T. Kirk (William Shatner). "Star Trek" first aired in 1966. 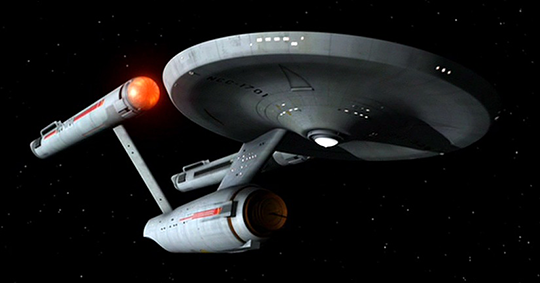 The series followed the adventures of the USS Enterprise on a five-year mission to “explore strange new worlds, to seek out new life and new civilizations, to boldly go where no man has gone before.” The show was cancelled in 1968 due to ratings concerns, but did well enough in syndication to justify several Hollywood films. The original series (often referred to as "TOS") spawned six motion pictures between 1979 and 1991 (plus a partial appearance by some members of the original crew in a 1994 "Star Trek" film). Along with an animated series (1973-74), this helped keep the series alive in the minds of fans. Syndication success eventually led to the creation of "Star Trek: The Next Generation" (1987-1994), which was set many years after the original series, with a new USS Enterprise helmed by Captain Jean-Luc Picard (Patrick Stewart). This generation of "Star Trek" tackled issues such as racism, gender and torture, and remains one of the most popularly cited series to this day. "TNG" eventually moved into theaters, with four films between 1994 and 2002. Roddenberry died in 1991. While "TNG" was still on the air, a different series, "Star Trek: Deep Space Nine" (1993-1999), premiered. The show followed the exploits of a crew on a space station, rather than the traditional starship. "Star Trek" also saw two more commercial TV series. "Star Trek: Voyager" (1995-2001) followed the exploits of a crew that was stranded in space, led by the series' first main female captain, Kathryn Janeway (Kate Mulgrew). Finally, "Enterprise" (2001-2005) took to the air as a prequel to the events of The Original Series, where Jonathan Archer (Scott Bakula) helmed the first warp-drive capable Enterprise. "Enterprise" was cancelled in 2005, but four years later The Original Series came back to Hollywood with a reboot of the original characters of Kirk, Spock, and McCoy — plus the rest of the main crew. The 2009 film was a hit and has so far spawned three other films – "Star Trek: Into Darkness" (2013), "Star Trek Beyond" (2016) and an untitled film in the works for 2019. Meanwhile, Star Trek is expected to return to television – at least through CBS streaming – in 2017, when an untitled series makes its debut. Perhaps the most famous example of Star Trek inspiring real-life took place in the 1970s. The United States was preparing to run test flights of the space shuttle program using a prototype vehicle called Constitution. In response, thousands of "Star Trek" fans staged a write-in campaign to the White House and NASA asking for the prototype shuttle to be named Enterprise. When Enterprise was indeed unveiled in 1976, most of the main cast of TOS was on hand. Enterprise was not designed to fly in space, however. Decades later, space tourism company Virgin Galactic named one of its planned spacecraft VSS Enterprise, after the television show. The spacecraft, built in 2004, did several in-atmosphere tests in preparation for eventually bringing it and other prototypes into space. VSS Enterprise, however, was destroyed in 2014 during a crash that killed one pilot and severely injured another. The National Transport Safety Board later determined a unique “feathering” system — intended to slow down the spacecraft as it was in the upper atmosphere — deployed early and was the leading cause of the crash. A few astronauts have appeared on "Star Trek" over the years, according to fan site Memory Alpha. Mae Jamieson is the first one the site records as appearing on a show; she was on the 1993 sixth season episode of TNG's “Second Chances,” where she was visited by TOS' Uhura (Nichelle Nichols). While in space during STS-47, Jamieson reportedly began shifts with Mission Control by quoting Uhura's famous line: “Hailing frequencies are open.” The next recorded astronauts were Mike Fincke and Terry Virts, who appeared on the series finale of "Enterprise" in 2005. While no "Star Trek" regular actor has flown in space (yet), several of them have recorded supportive messages for NASA, such as Nichols and Wil Wheaton. Nichols not only did a video message, but also flew on NASA's SOFIA (Stratospheric Observatory for Infrared Astronomy) aircraft in 2015. "Star Trek" actors have also bantered with real astronauts on Twitter, most notably early in Canadian astronaut Chris Hadfield's International Space Station mission in 2012-13 when he spoke with William Shatner, Leonard Nimoy, Wil Wheaton and George Takei. (Shatner asked: “Are you tweeting from space?” to which Hadfield replied, “Yes, Standard Orbit, Captain. And we're detecting signs of life from the surface.") After Nimoy died in February 2015, NASA sent out a tweet honoring the actor: "RIP Leonard Nimoy. So many of us at NASA were inspired by Star Trek. Boldly go…"
Several early "Star Trek" technologies have also made their way into our everyday lives. "Communicators" are now cell phones, which connect to each other via satellite. Tricorders, which were used to gather medical information, are now available as MRIs — some of which are being developed for space. Enterprise crewmembers can also be seen using tablet computers, and global positioning satellites, which can zero in on your position on the planet, are similar to how teleportation devices worked on the show. However, human teleportation still eludes us, as does faster-than-light warp drive. In 2015, NASA downplayed several media reports that a “faster-than-light” EM Drive they were developing was on the verge of a breakthrough. “NASA is not working on 'warp drive' technology,” officials said, adding that the EM Drive was “a small effort that has not yet shown any tangible results.” Teleportation, meanwhile, has only been achieved on the quantum scale across a few miles. Numerous fan-made productions and series spinoffs (such as books and comic books) have been produced; however, this list represents the "official" films and television series that have been released. There are plans to release a fourth in the “rebooted” series of "Star Trek" films in 2019, and to start a new television series via streaming in 2017. 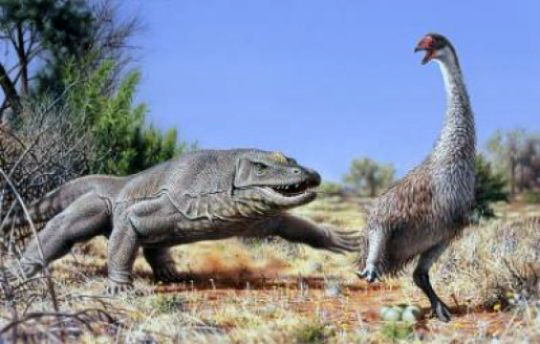 Scientists said on Friday burn patterns detected on eggshell fragments indicate that the humans who first arrived in Australia roughly 50,000 years ago gathered and cooked the big bird's eggs, playing havoc with its reproductive success. Genyornis, at almost 7 feet tall (2 meters) and perhaps 500 pounds (225 kg), was much bigger than today's large flightless birds like the ostrich or emu. It possessed powerful legs, small wings, large claws and a big beak for eating fruit, nuts and maybe small prey. 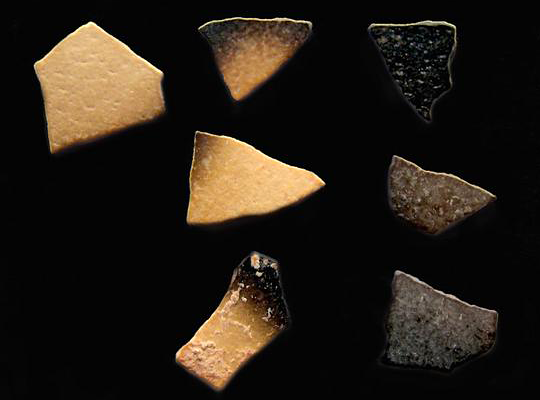 "We conclude that the only explanation is that humans harvested the giant eggs, built a fire and cooked them, which would not blacken them, then discarded the fragments in and around their fire as they ate the contents," Miller said. "Wild or natural fires could not produce such patterns. We have no direct evidence that humans hunted the adults, but loss of eggs certainly reduced reproductive success." There has been a long-running debate over whether people caused the extinction of Australia's unique collection of large animals, also including a 25-feet-long (7.5 meters) monitor lizard called Megalania, a nearly rhinoceros-sized wombat called Diprotodon, large marsupial predators and 1,000-pound (450-kg) kangaroos. More than 85 percent of Australia's large mammals, birds and reptiles disappeared after people arrived. Need Volunteers? 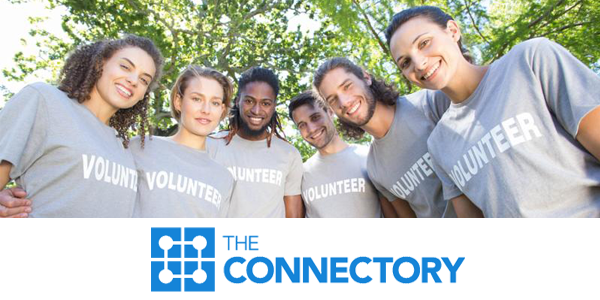 The Connectory and VolunteerMatch Can Help! Thank you for listing your program in The Connectory! The Connectory and Time Warner Cable are committed to increasing the capacity of youth-serving STEM programs. We are pleased to announce the opportunity for a FREE Premier VolunteerMatch account, funded by Time Warner Cable. The application is simple! Don't wait until February 19th! Need more information? Register here for our 'Apply Today' webinar happening February 10, 2016 at 2:00PM EST. 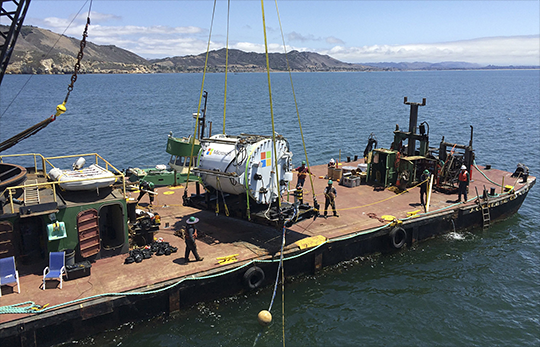 Microsoft has tested a prototype of a self-contained data center that can operate hundreds of feet below the surface of the ocean, eliminating one of the technology industry’s most expensive problems: the air conditioning bill. Taking a page from Jules Verne, researchers at Microsoft believe the future of data centers may be under the sea. Today’s data centers, which power everything from streaming video to social networking and email, contain thousands of computer servers generating lots of heat. When there is too much heat, the servers crash. Putting the gear in cold ocean water could fix the problem. It may also answer the exponentially growing energy demands of the computing world because Microsoft is considering pairing the system either with a turbine or a tidal energy system to generate electricity. The effort, code-named Project Natick, might lead to strands of giant steel tubes linked by fiber-optic cables placed on the seafloor. Another possibility would suspend containers shaped like jelly beans beneath the surface to capture the ocean current with turbines that generate electricity. Such a radical idea could run into stumbling blocks, including environmental concerns and unforeseen technical issues. But the Microsoft researchers believe that by mass producing the capsules, they could shorten the deployment time of new data centers from the two years it takes on land to just 90 days, offering a huge cost advantage. The underwater server containers could also help make Web services work faster. Much of the world’s population lives in urban centers close to oceans but far from data centers usually built in out-of-the-way places with lots of room. The ability to place computing power near users lowers the delay, or latency, people experience, which is a big issue for users. “For years, the main cloud providers have been seeking sites around the world not only for green energy but which also take advantage of the environment,” said Larry Smarr, a physicist and scientific-computing specialist who is director of the California Institute for Telecommunications and Information Technology at the University of California, San Diego. Driven by technologies as varied as digital entertainment and the rapid arrival of the Internet of Things, the demand for centralized computing has been growing exponentially. Microsoft manages more than 100 data centers around the globe and is adding more at a rapid clip. The company has spent more than $15 billion on a global data center system that now provides more than 200 online services. In 2014, engineers in a branch of Microsoft Research known as New Experiences and Technologies, or NExT, began thinking about a novel approach to sharply speed up the process of adding new power to cloud-computing systems. The company recently completed a 105-day trial of a steel capsule — 8 feet in diameter — that was placed 30 feet underwater in the Pacific Ocean off the central California coast near San Luis Obispo. Controlled from offices on the Microsoft campus in Redmond, the trial proved more successful than expected. The researchers had worried about hardware failures and leaks. The underwater system was outfitted with 100 different sensors to measure pressure, humidity, motion and other conditions to better understand what it is like to operate in an environment where it is impossible to send a repairman in the middle of the night. The system held up. That led the engineers to extend the time of the experiment and to even run commercial data-processing projects from Microsoft’s Azure cloud-computing service. The research group has started designing an underwater system that will be three times as large. It will be built in collaboration with a yet-to-be-chosen developer of an ocean-based alternative-energy system. The Microsoft engineers said they expected a new trial to begin next year, possibly near Florida or in Northern Europe, where there are extensive ocean energy projects under way. The first prototype, affectionately named “Leona Philpot” — a character in Microsoft’s “Halo” video game series — has been returned, partly covered with barnacles, to the Redmond campus. The idea for the underwater system came from a research paper written in 2014 by several Microsoft data-center employees, including one with experience on a Navy submarine. Norman A. Whitaker, managing director for special projects at Microsoft Research and former deputy director at the Pentagon’s Defense Advanced Research Projects Agency, or DARPA, said the underwater server concept was an example of what scientists at DARPA called “refactoring,” or completely rethinking the way something has traditionally been accomplished. Even if putting a big computing tube underwater seems far-fetched, the project could lead to other innovations, he said. For example, the new undersea capsules are designed to be left in place without maintenance for as long as five years. That means the servers inside it have to be hardy enough to last that long without needing repairs. That would be a stretch for most servers, but they will have to improve to operate in the underwater capsule — something the Microsoft engineers say they are working on. They’re also rethinking the physical alignment of data centers. Right now, servers are put in racks so they can be maintained by humans. But when they do not need maintenance, many parts that are just there to help with human interaction can be removed, Whitaker said. “The idea with refactoring is that it tickles a whole bunch of things at the same time,” he said. In the first experiment, the Microsoft researchers said they studied the impact their computing containers might have on fragile underwater environments. They used acoustic sensors to determine if the spinning drives and fans inside the steel container could be heard in the surrounding water. What they found is that the clicking of the shrimp that swam next to the system drowned out any noise created by the container. One aspect of the project that has the most obvious potential is the harvest of electricity from the movement of seawater. This could mean that no new energy is added to the ocean and, as a result, there is no overall heating, the researchers asserted. In their early experiment the Microsoft engineers said they had measured an “extremely” small amount of local heating of the capsule. “We measured no heating of the marine environment beyond a few inches from the vessel,” Lee said. Nina Lanza knows space rocks. 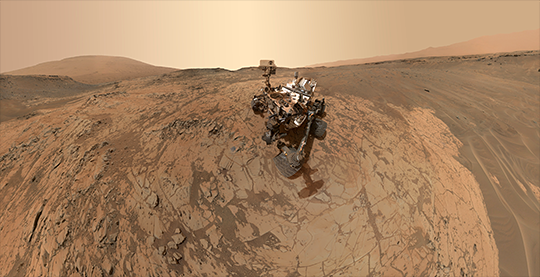 In her day job as a staff scientist at Los Alamos National Laboratory, she operates the Curiosity Rover’s ChemCam, using a rock-vaporizing laser to analyze the Martian surface. But as of last week, Lanza was having a very different kind of encounter with space rocks: She was picking them up off of the Antarctic ice. For the past six weeks, Lanza has been a rookie member of the ANSMET (the Antarctic Search for Meteorites) 2015-2016 field team. For 40 years, the project (run out of Case Western Reserve University) has sent teams of scientists to the bottom of the globe to recover meteorites from all over the solar system, including chunks of the moon, comets, even Mars. After recovering a total of 569 meteorites with her team, Lanza checks in with Ira about the finds, and shares a few audio postcards from the field. 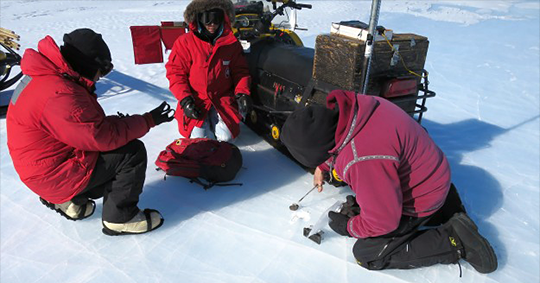 Diary of a Meteorite Hunter: When we heard Nina Lanza was headed into the Antarctic deep field, we asked her to record a few notes, musings, and sounds from her journey. LIKE RESIN TIME CAPSULES, THESE STATUES CONTAIN FLASH DRIVES LOADED WITH INFORMATION ABOUT THEIR HISTORY. In the last year alone, members of ISIS have destroyed hundreds of ancient artifacts in museums and heritage sites across Iraq and Syria. Last year, after gaining control of Syria's ancient city of Palmyra, the terrorist group bombed the 2,000-year-old Temple of Bel, while in Iraq, militants took sledge hammers to statues in the Mosul Museum. With no way to recover the destroyed pieces—and no end to the destruction in sight—activists, historians and artists have looked toward emerging technologies to help reconstruct a destroyed past. Morehshin Allahyari is one such artist. After seeing video of the destruction of the Mosul Museum last year, the San Francisco-based artist began an ongoing project to reconstruct the museum's destroyed artifacts. 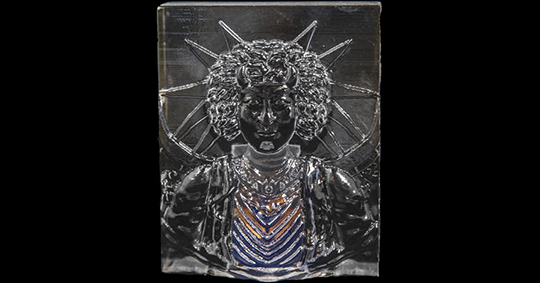 A year into the project, Material Speculation: ISIS comprises nine 3-D printed objects, each rendered in a ghostly translucent resin and housing a memory card sealed in its center. Three of the objects are shown on her website, and the other six will be revealed for the first time in her February solo show in Toronto. To design the objects, Allahyari worked with former staff members of the museum and researched online, but finding enough information to recreate the artworks proved to be a painstaking process. Much of the information was inconsistent from Arabic to English, and finding trustworthy resources was a challenge. "Thirty years of war in Iraq has made it hard for a museum that is underfunded and understaffed to document in an accurate way," says Allahyari. 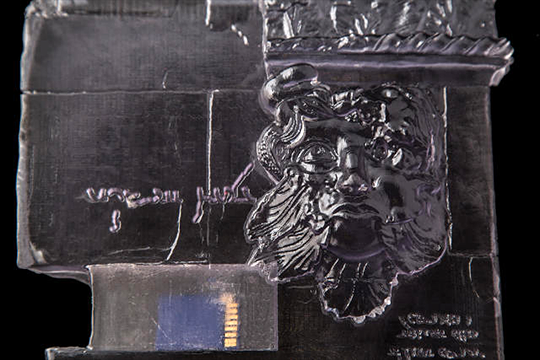 She created her first object, a one-foot-tall representation of the museum's King Uthal statue, by painstakingly piecing together images, videos, text, and email conversations—all of which she loaded onto the flash drive that lives inside the King's stomach. Allahyari says that in recent months, archival information has become a lot easier to come by. Historians, activists, archeologists and other artists involved in similar preservation efforts—many of which involve digital imaging and 3-D printing—have been unearthing information about artifacts damaged or destroyed by ISIS and making them public. The Institute for Digital Archeology's Million Image Database, which Co.Design wrote about earlier this month, is part of that effort. The open-source database compiles photos of destroyed artifacts with plans to eventually render to-scale 3-D replicas of some of them, like the recreations of the Temple of Bel that will be displayed London and New York City in March. Another example is archaeologist Conan Parsons' Palmyra Photogrammetry, an in-progress digital 3-D model of a theater in Palmyra, which was damaged in the June bombings as well. To 3-D print large and accurate recreations of destroyed artifacts like IDA and Parson's are doing, you need 25 to 30 high quality images from different angles, which both projects are accomplishing through crowdsourcing. For Material Speculation: ISIS, Allahyari says, that's simply not possible given the lack of information available for the Mosul Museum's artifacts—unlike Palmyra, which was a popular outdoor tourist site and photo op. But recreation isn't really the point; Allahyari's project has never been about replacing these destroyed pieces. It's more about making information about each piece accessible to anyone, and proving that this history cannot be so easily destroyed. 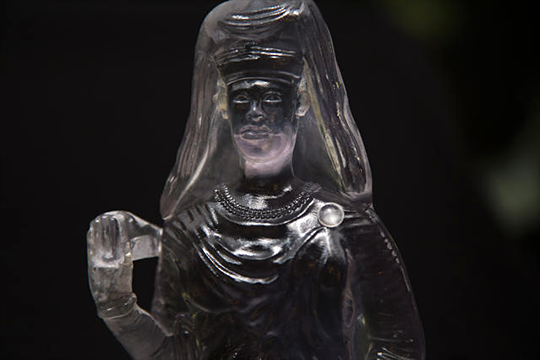 Case in point: on the bottom or the side of each of her pieces, Allahyari created a resin plug so that, with the help of a sharp object, anyone can pry open the statue, pull out the thumb drive and access all of the images, PDFs, emails, and videos she came across in her research. She calls it the "physical version of going viral." "There’s something really interesting about being able to have these files in a physical way. 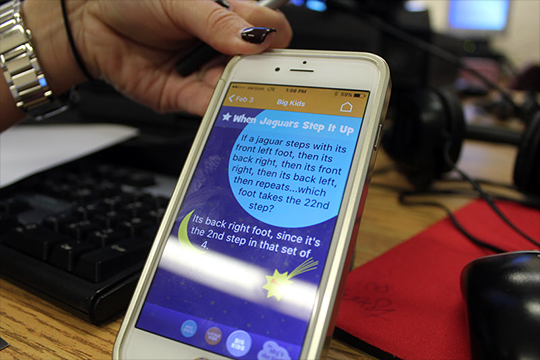 The whole relationship of being able to touch feels different than just having the digital files," Allahyari says. "It’s also a way to resist this access being destroyed and history being forgotten. This renewal of history exciting to see. The more popular these things become, the more people save these digital file, the more printed and kept the more these artworks are known about." Material Speculation: ISIS will be on view at Trinity Square Video in Toronto from February 11 to March 19, 2016.